Now stack and store your personal favorites in style with this stylish Uranus Engineered wood Shoe Rack (Choco Walnut) from Bharat Lifestyle. Its light weight engineered wood, well known as Pre-laminated Particle Board, construction makes it easy to shift, carry or store. Its premium quality finish and contemporary looks make it apt for modern day usage. 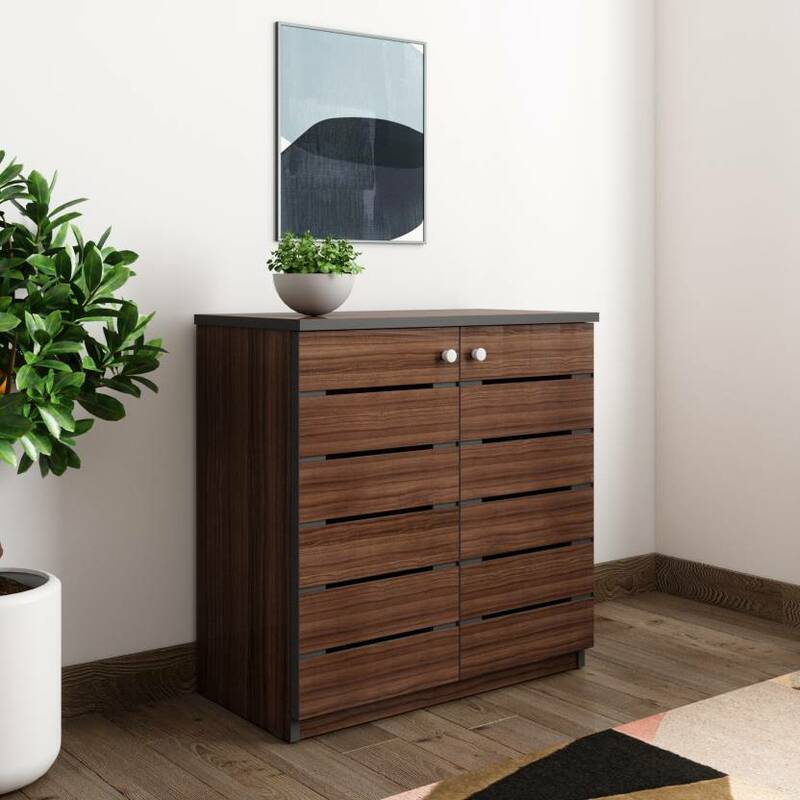 With ample storage space, this one is perfect for todays homes and other spaces. It is a perfect accessory to those who like to stay organized. It provides different options for storage and maximum space utilization. To overcome fading of fabric color avoid direct contact of your upholstered furniture from sunlight. Dark fabrics are easily fadable due to light exposure. All products, manufactured by Bharat Lifestyle, are subject to a warranty period of one year against manufacturing defects. Any product which is misused, neglected, improperly set up or otherwise damaged shall not be covered under the warranty.